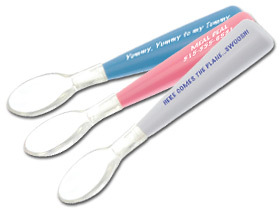 When is it time to throw out the baby spoons? Your kitchen cupboards still have security locks on them and are organised so as to give little ones a place to play safely, but all the breakable/ dangerous stuff is safely locked away. In your kitchen drawers, you can find plastic baby spoons, small baby cutlery and baby medicine spoons. In the medicine cabinet, there is Bonjela (well past its use-by date) and those tiny nail clippers you use on babies. 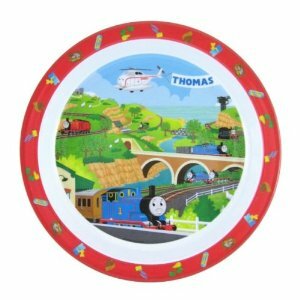 You still have the plastic Thomas the Tank Engine/ Barbie plates, bowls and cups in the cupboard. You may even still have the bottle steam steriliser up on the top shelf. And yet you have no babies. Or even toddlers. Does this sound familiar to you? Because until fairly recently, this was the state of my kitchen. I should note here that the baby factory in our house is firmly and permanently shut. Not only because I am getting a little long in the tooth for more babies, but also because six is really our limit. And our youngest children have just turned six years old. And they were twins, which given my age and now our family history would mean a significantly higher chance of having another set of twins. They are somewhat past the baby gear stage. But does our kitchen actually reflect the ages of our youngest children? Not so much. Why is this? I hear you ask. I trot out the convenient “oh some of our friends have younger children and it’s nice to have everything available/safe for them” and to a certain extent, this is true. Except that our friends’ younger children are now three years old, so no longer babies, and mostly past the age of trying to permanently damage either themselves or our dinner set. “I haven’t really had time to get to it” is another excuse I use, and this is also true, but actually is just an excuse. So why the reluctance? I guess it’s that whilst you give away or sell the big baby items – the cots, push chairs, high chairs, car seats and so on – because they take up room you simply don’t have, the kitchen can stay the way it is without significant inconvenience. After a couple of years, you’re probably accustomed to pushing that latch down before getting into your cupboards. And once you give away the last of your baby stuff, you’re admitting to yourself that there will be no more babies. Even when there are six children in the house, and you’ve made the joint and very sensible decision that for the way your life is there will be no additional children, there’s still a small part of you that says “Maybe there’s room for one more”. It’s also admitting to yourself that your smallest child (or children in our case) aren’t babies any longer. They aren’t even toddlers. Nope, they’re fully fledged school-age children, off to playdates, learning to swim and play soccer and able to read the rules at the McDonald’s playgrounds for themselves (and break them of course, but that’s another post entirely). There’s a sadness to that admission, even through the pride you feel as they become ever more capable and independent. A parent’s heart will always hold the echo of those little baby on the shoulder hugs, those moments where the toddler clung to your neck, and where the small child reached for you for comfort. Change is never easy. And sometimes, the only thing that pushes you through is having an agent of change. Last year, my lovely mother-in-law stayed at our house for six months. After she’d been here a month, she suggested that the kitchen didn’t make sense, we didn’t need all the child proofing, and surely the boys were past the plastic plate stage. My first response was to dig my heels in, trot out all the excuses above, and say that I liked it that way. But the more I thought about it, the more I realised she was right. So one Saturday morning, the bonus daughter and I pulled the kitchen apart and put it back together again. I also used the opportunity for my annual blast at the pantry. My mother-in-law still couldn’t find anything, but at least could get all the cupboards open without help from the children. So when is it time to throw out the baby spoons? I guess it’s when you’re ready. This will be different times for different people. For me, it wasn’t until I was given that nudge. But then I’m a complete hoarder (let’s not go into the memory boxes for each of the children in the garage – let’s just say there will be plenty of 21st material in there!). There are still a few security locks on the doors with no catches on them, some socket safety plates in the power sockets, and a few baby spoons in the top drawer, but the kitchen is largely set for our current needs. I’ve even given away the steam steriliser! When you did relinquish the trappings of babyhood? And what made you do it?